W.I.S.E. was developed and designed by Master Larry Klahn in 1980, to help women prevent and terminate a sexual assault. Over 4000 women have successfully graduated the program. There are branch programs of W.I.S.E. in: Elgin, Crystal Lake, and McHenry, Illinois; Janesville and La Crosse, Wisconsin; San Francisco, California; Provo, Utah. The youth classes offered at Three Rivers Martial Arts Academy are specifically tailored to children from 5 1/2 to 15 years of age. Based in traditional self defense Tae Kwon-Do the classes teach not only self defense but challenge the Child Martial Artist both physically and mentally to accomplish given tasks for each rankthey test to. Three Rivers Martial Arts Academy is not a belt factory but each student young or old will earn the rank they wear. In May 2005, Master Larry Klahn was asked by the United States Army to develop course in close quarter combat to teach the troops before they were deployed out to Iraq and combat zones worldwide. The Close Quarters Combat course is designed so a soldier can gain the skills necessary to stop and attacker in a close quarters combat situation. Personnel gain the confidence and proficiency in various unarmed defensive and offensive techniques to be able to maintain control while wearing field gear. Master Larry Klahn Ph.D owner/head instructor of the academy. Since 1973, Master Larry Klahn Ph.D has achieved an extensive record among the martial arts community. Earning himself a 7th Degree Black Belt in Taekwon-Do, 6th Degree Black Belt in Kyuki-Do, 3rd Degree Black Belt in Judo, and a 1st Degree Black Belt in Hapki-do. 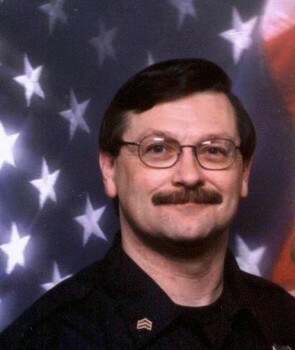 His other skills derive from being a La Crosse County Deputy Sheriff as a Law Enforcement Instructor – Certified by the State of WI to teach – DAAT, EVOC, Firearms, Vehicle Contacts, Patrol Procedures and Interviewing Techniques, Emergency Response Team (ERT) member/Lead Instructor, and US Army Close Quarters Combat (CQC) Instructor. Master Klahn also designed, implimented and instructs classes in W.I.SE., T.A.A.C.T, and CQC. TaeKwon-Do is the technique of unarmed combat for self-defense involving the skilled application of punches, flying kicks, dodges, and interceptions with the hands, arms, and feet in order to effectuate the rapid destruction of an opponent. Judo was founded in 1882 by Professor Jigoro Kano. 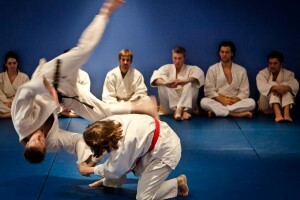 Judo utilizes the techniques of throwing, pinning, grappling, choking, and arm bars. Judo was introduced to the U.S. in 1902 and is an Olympic event. Hapki-Do is the art of bringing together energy. It is distinguished by three essential techniques: passivity when opposing force, countering and attacking with circular movements, and absolute penetration of an opponent’s defenses the “wake” (water) principle. For example, if an attack is strong, one must receive it gently. Likewise, if the attack is gentle, one must counter powerfully. This complementary manner of reacting establishes a perpetual liquid rhythm as well as constant mobility – the hallmark of Hapki-Do.